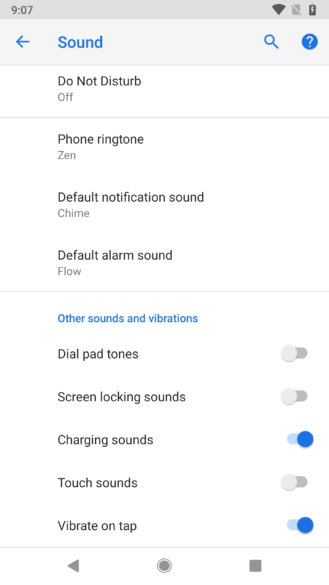 Android P Developer Preview 2 brings a different charging sound. You can hear it in the video below. Thanks, Nick Cipriani! 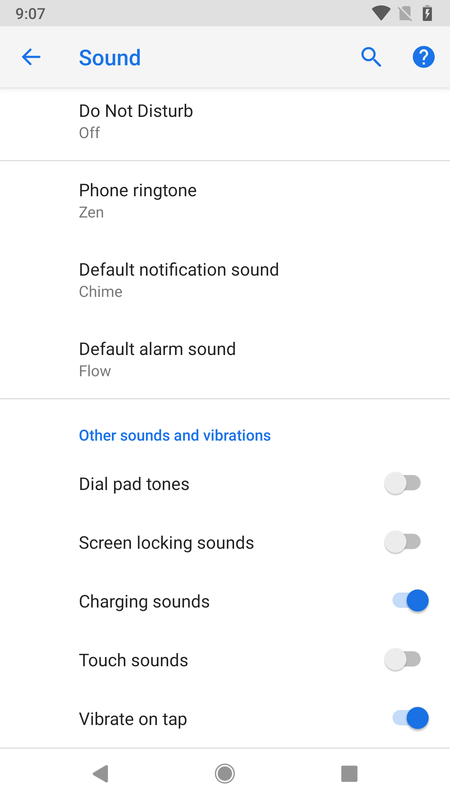 Prior to Android P, Google did include an option for “Charging sounds” under Settings > Sound > Advanced. While that sure gives the impression that activating it would produce an alert whenever you charge your phone, the not-quite-intuitive reality of the situation was that the charging-alert sound effect would only be triggered when using a wireless charger. Sure, you could always just look at your phone's screen when using a wired charger to verify that everything was working as intended, but having this audio cue is a really nice, effortless extension of that. Even without thinking too much about it, or squinting to check that your battery icon is showing its lightning bolt, you still get positive feedback that your phone is juicing up as intended and will be fully-powered and ready to go when you need it.